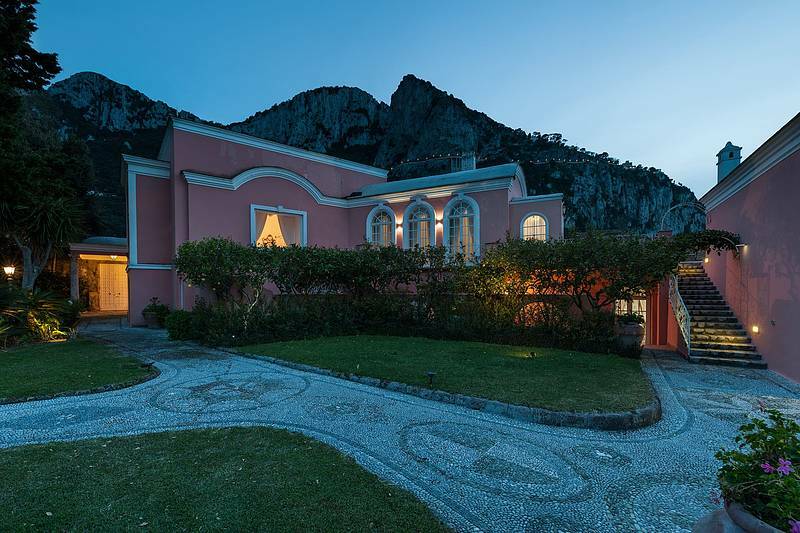 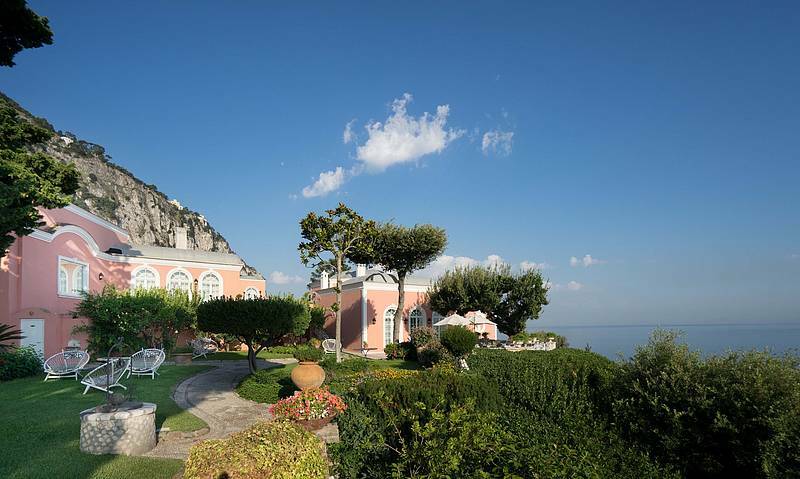 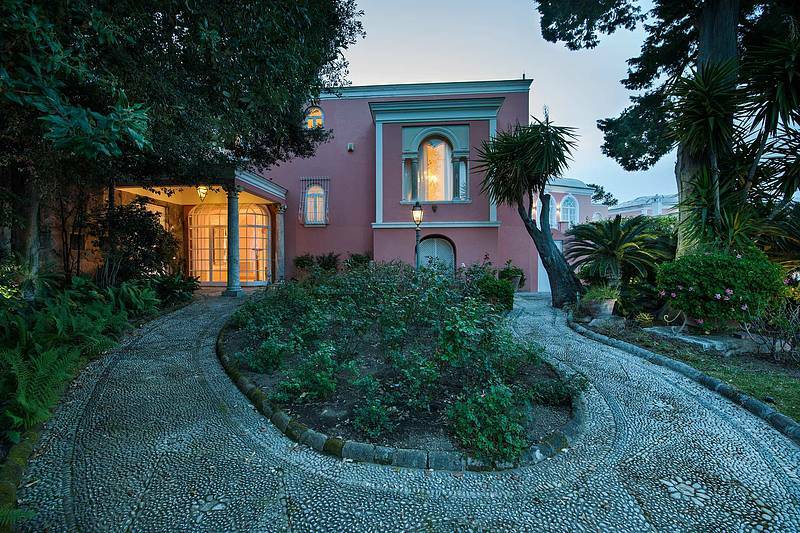 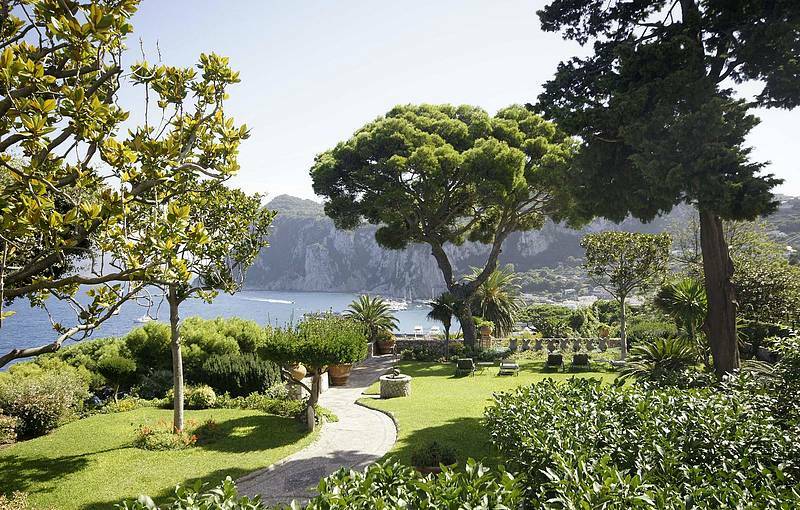 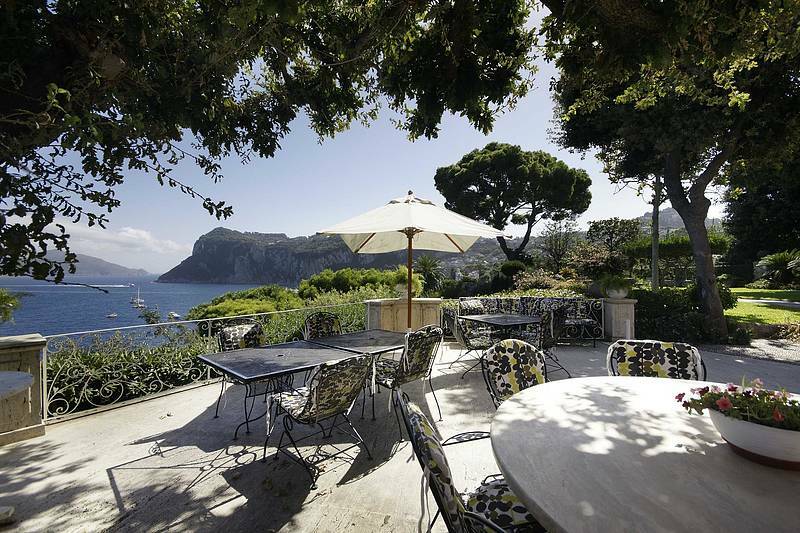 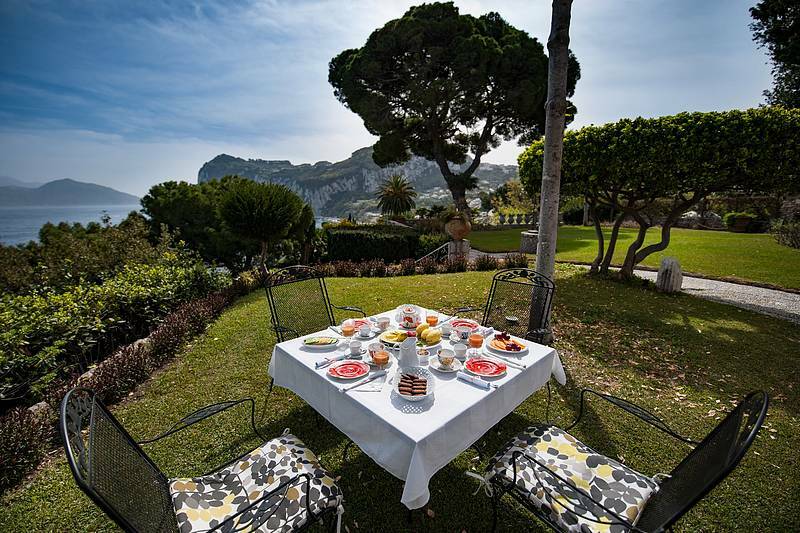 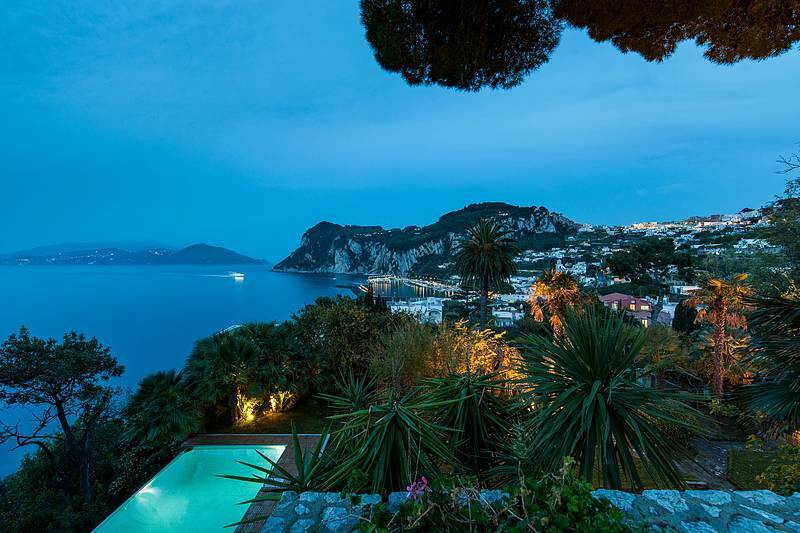 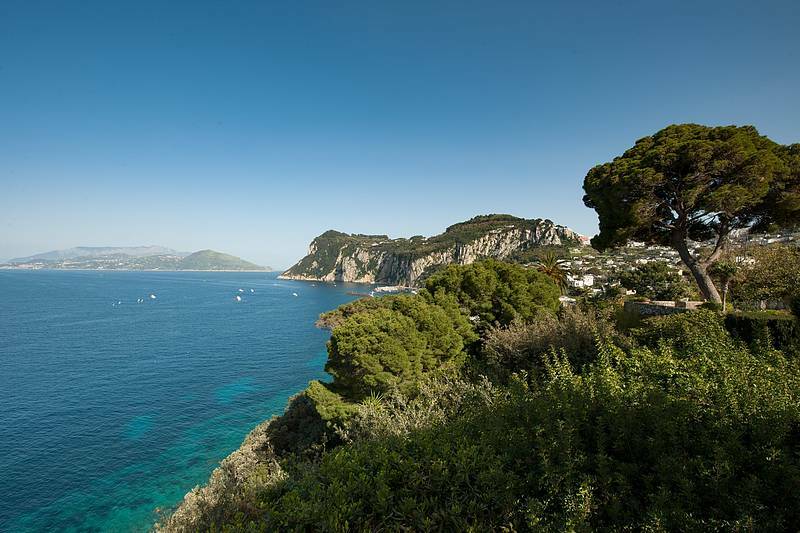 Set in gorgeous sea-edge gardens, abundant in camellias, magnolias and palm trees, Capri's Villa Camelia boasts breathtaking views of the Sorrentine peninsula, Mount Vesuvius and the whole of the Bay of Naples. 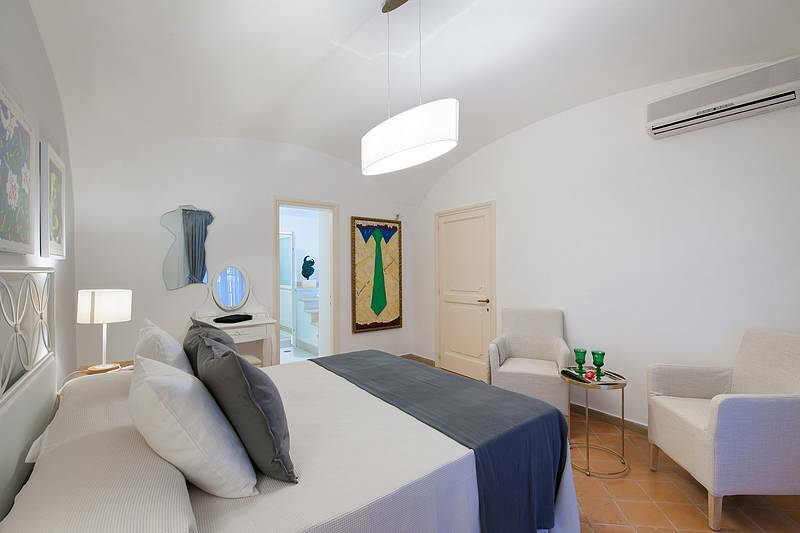 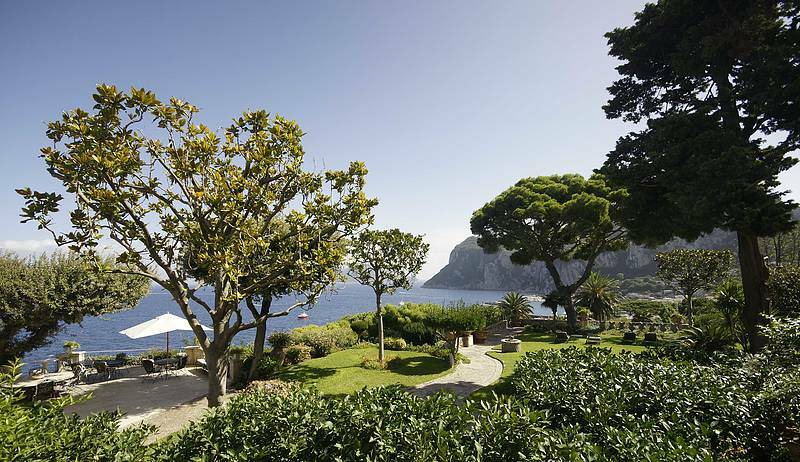 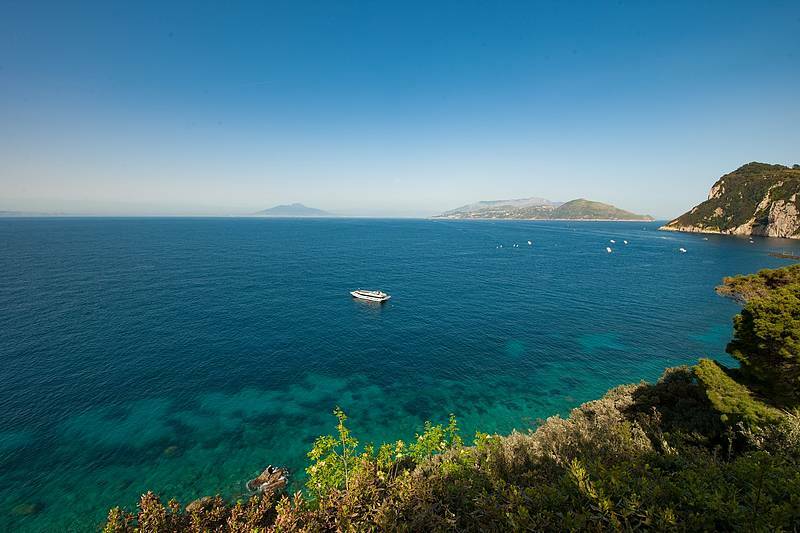 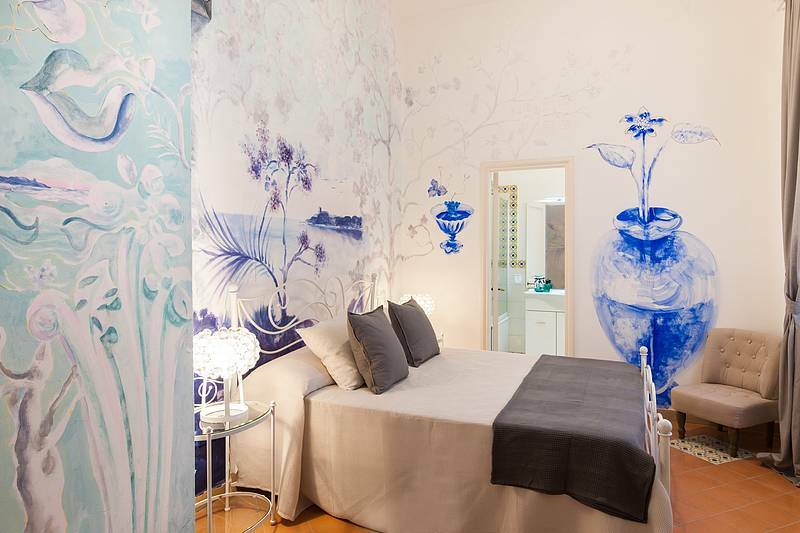 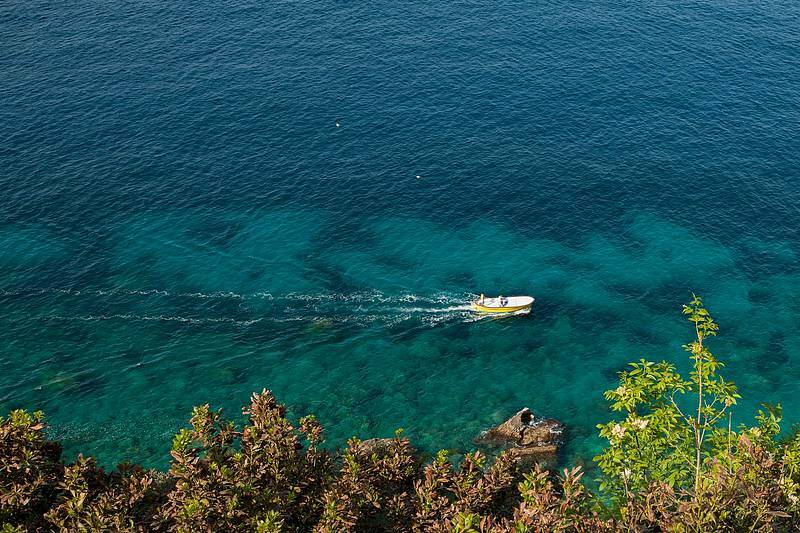 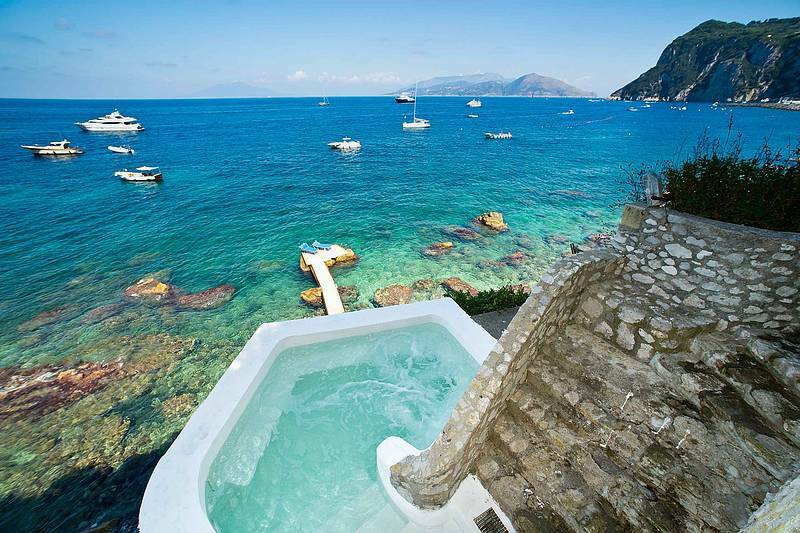 It is one of the few villas with swimming pool in Capri and private access to the sea. 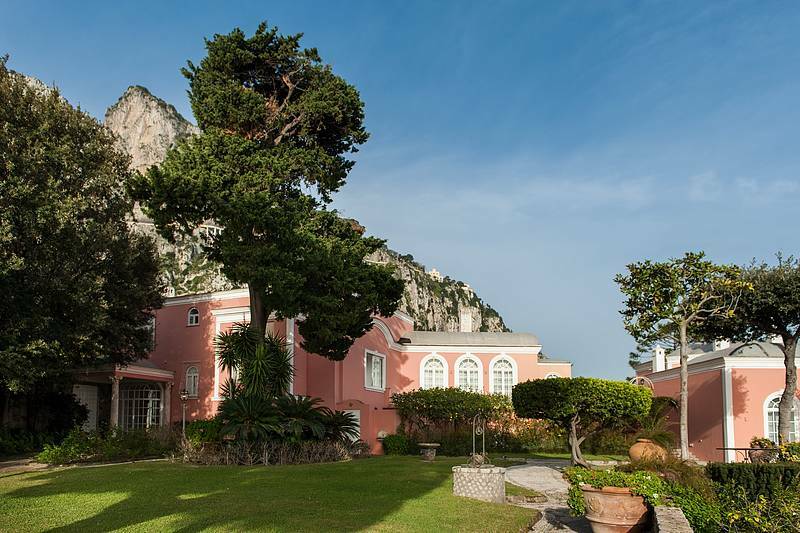 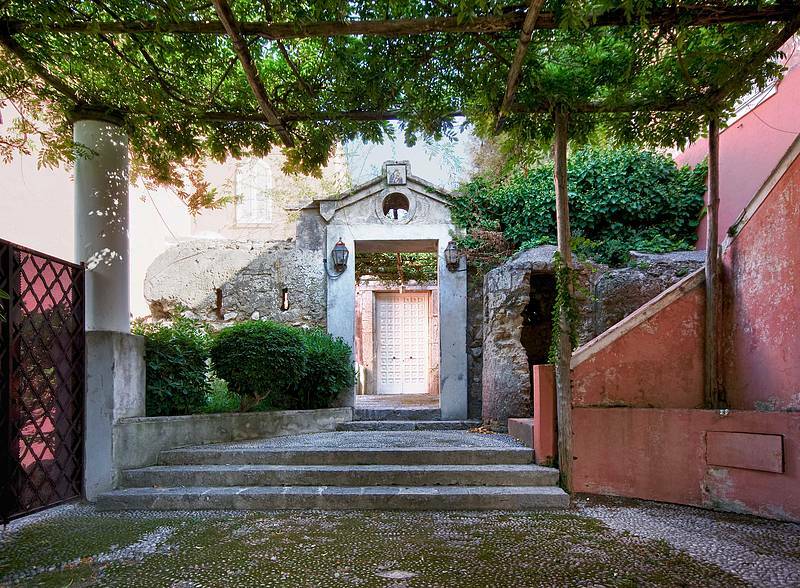 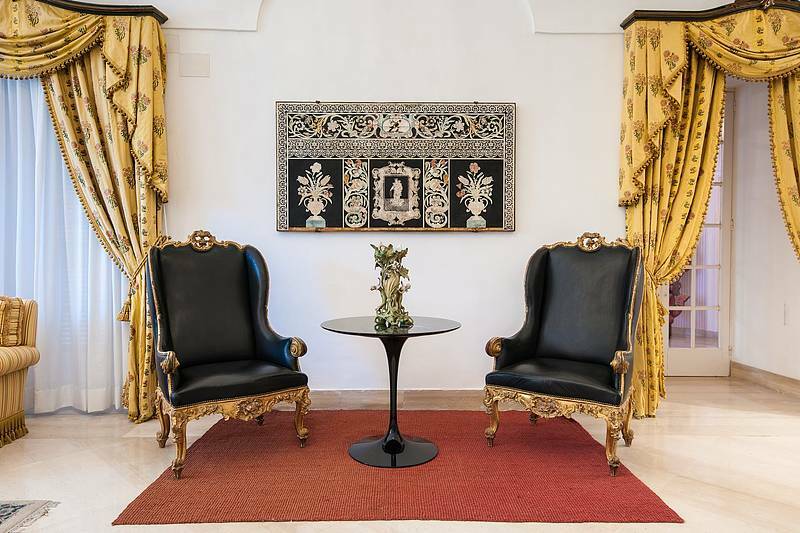 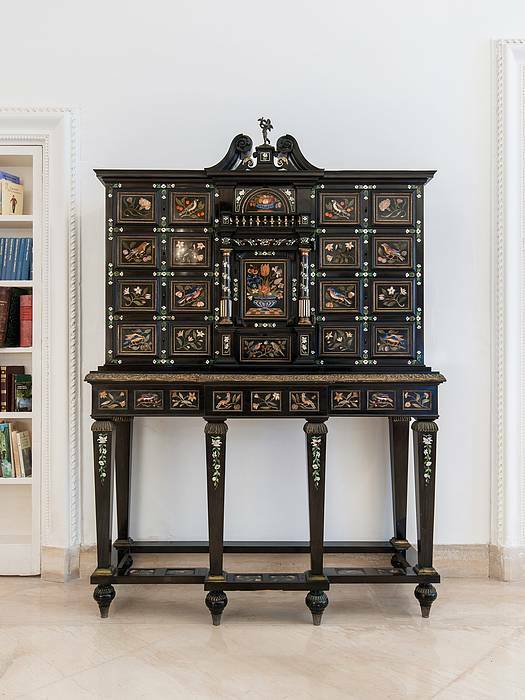 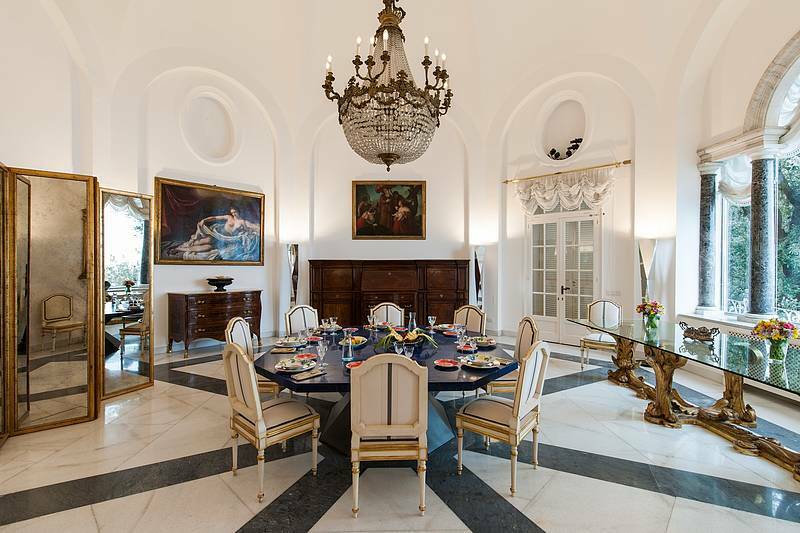 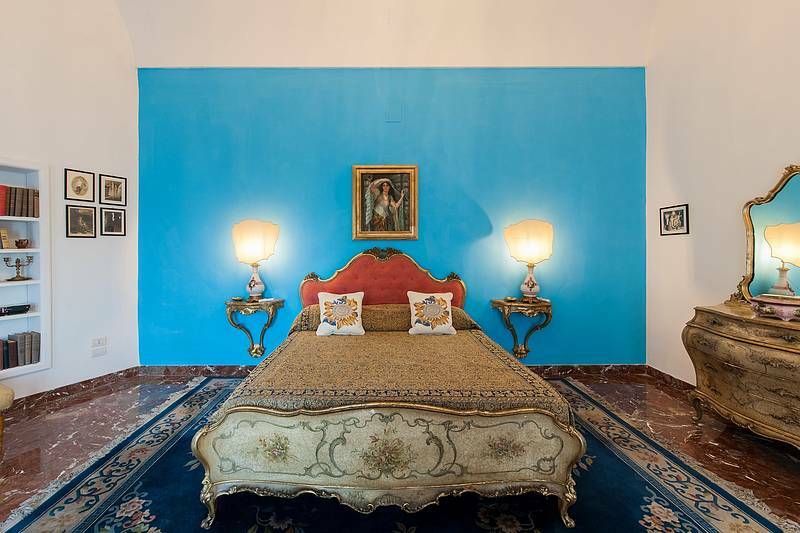 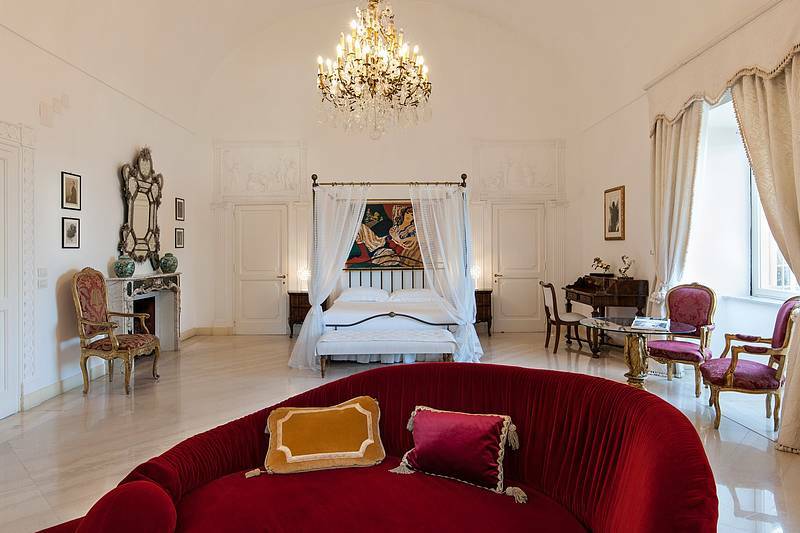 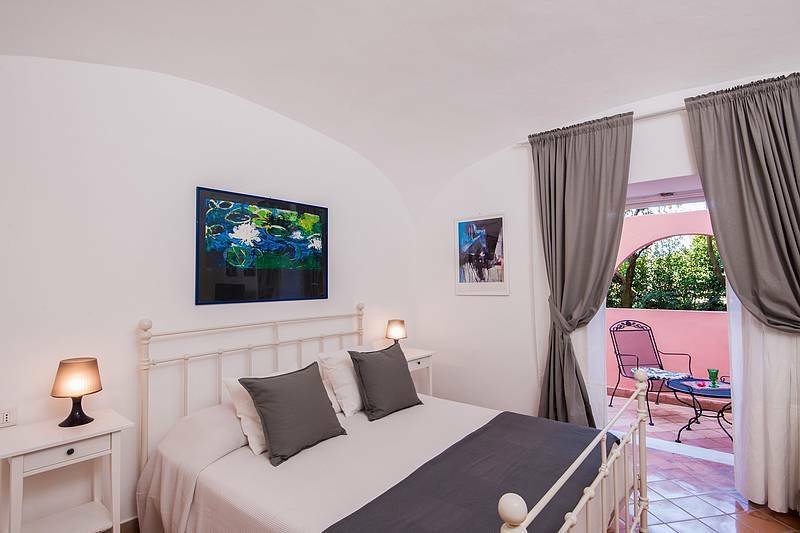 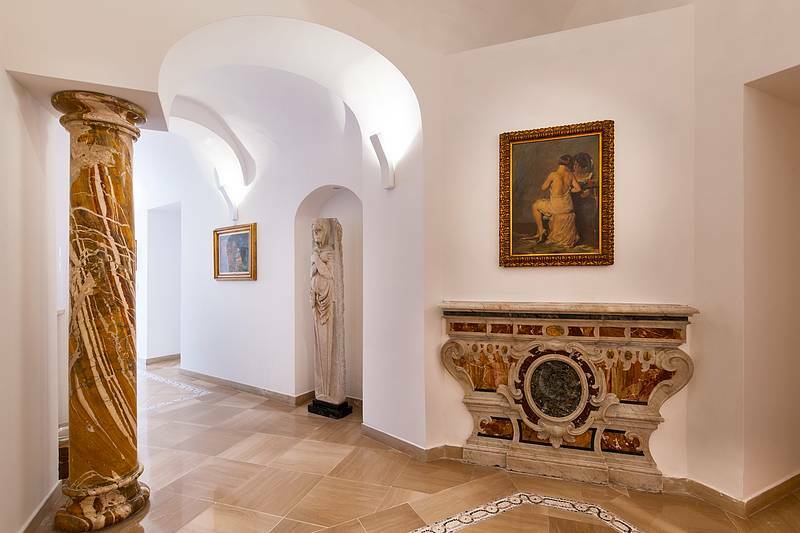 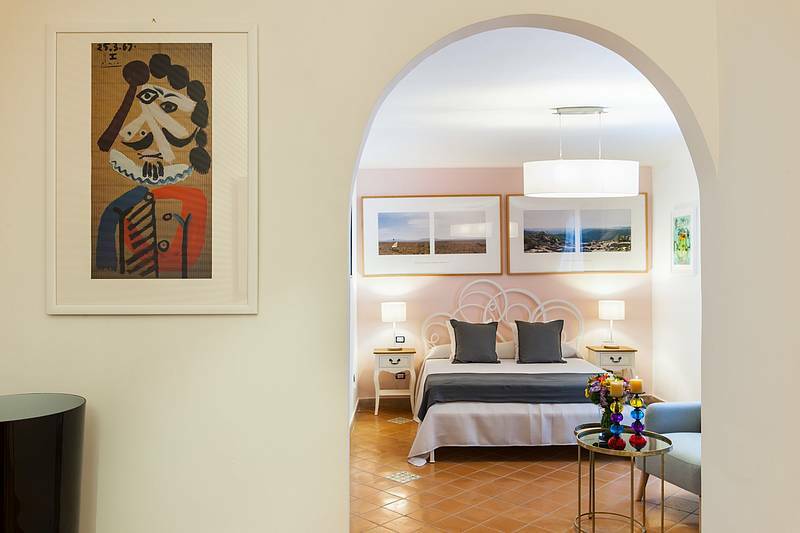 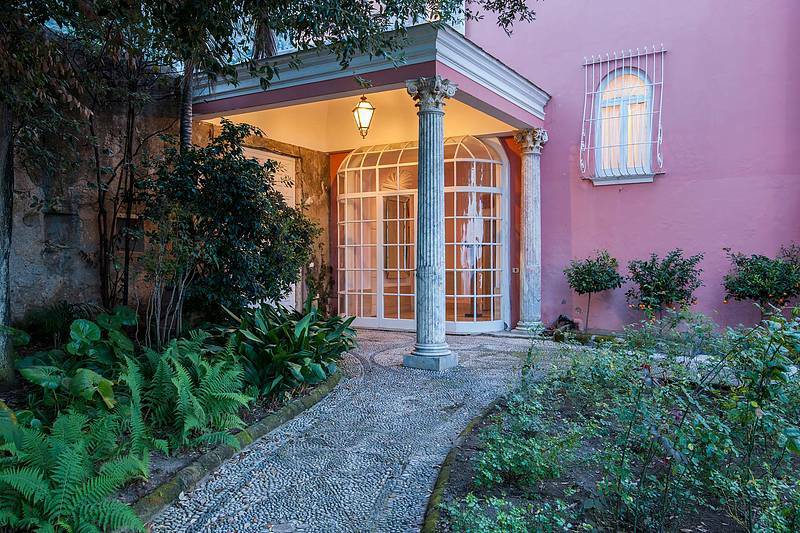 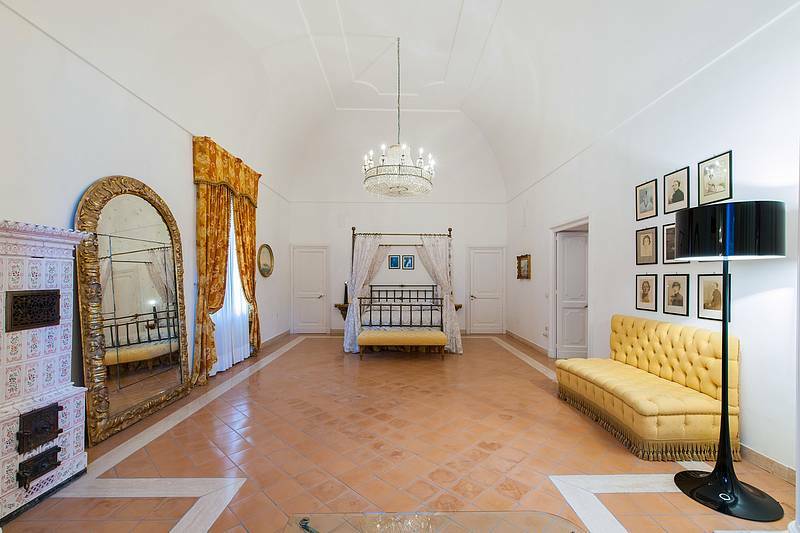 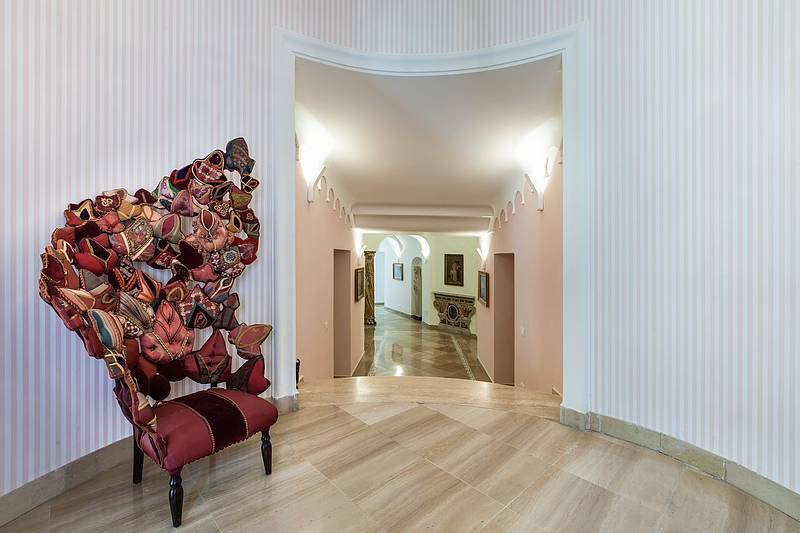 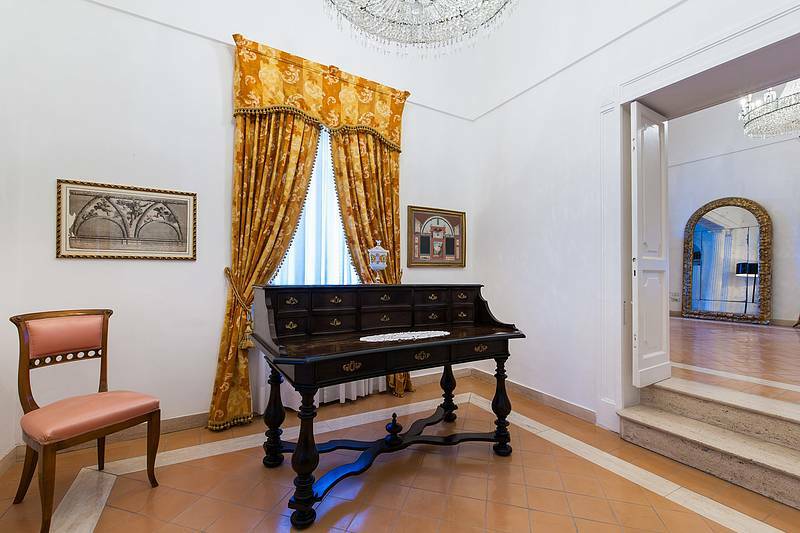 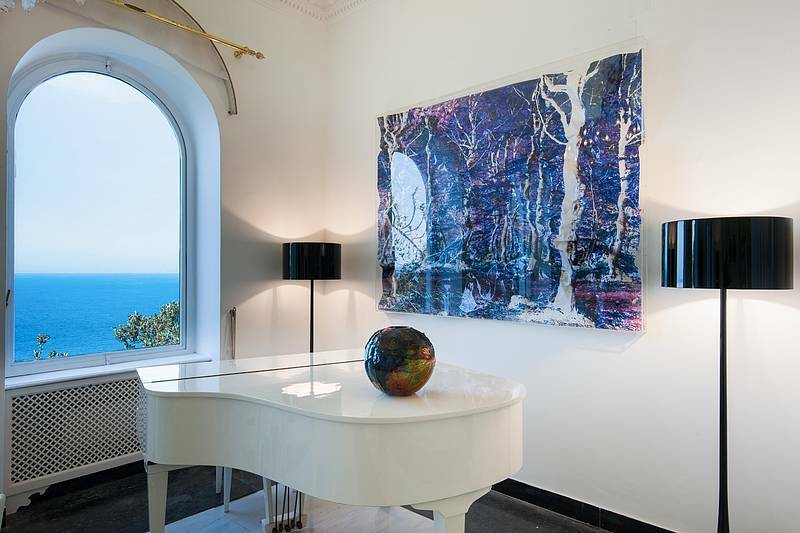 Over the years, Villa Camelia has been the chosen residence of painters, musicians and composers and of the Countess Mona Bismarck, who entertained the likes of the Duke of Windsor, Aristotle Onassis, Greta Garbo and Paul Newman here. 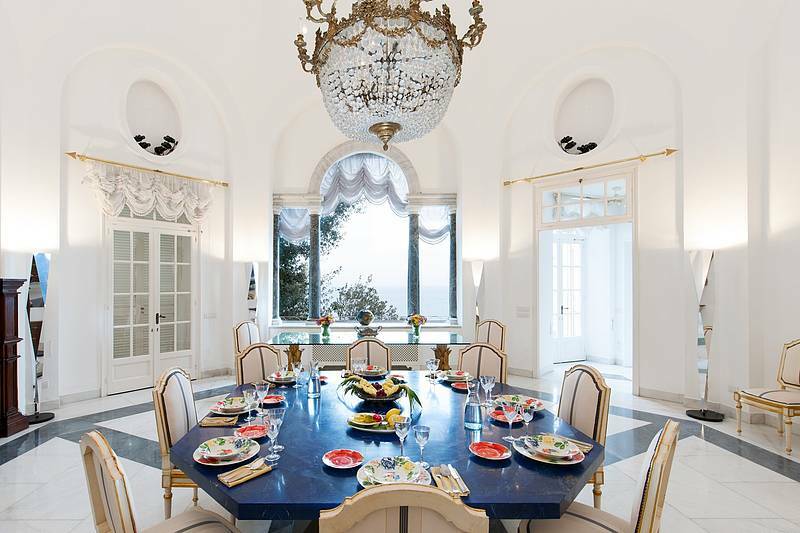 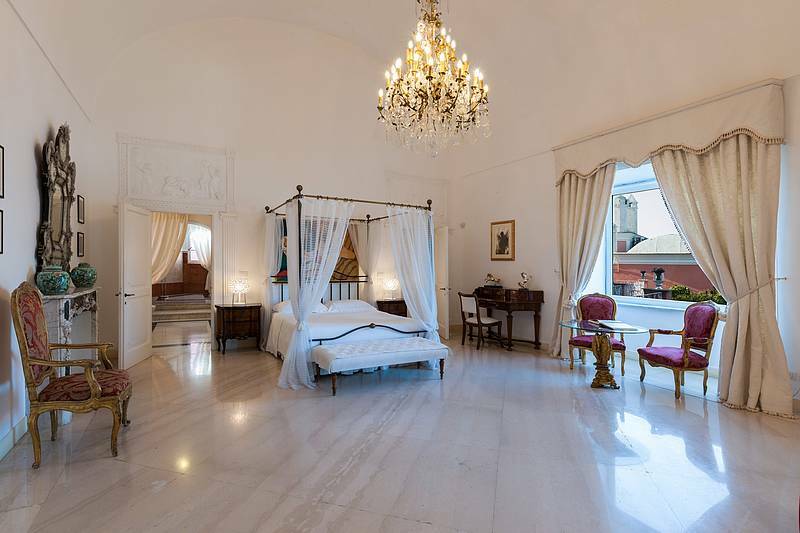 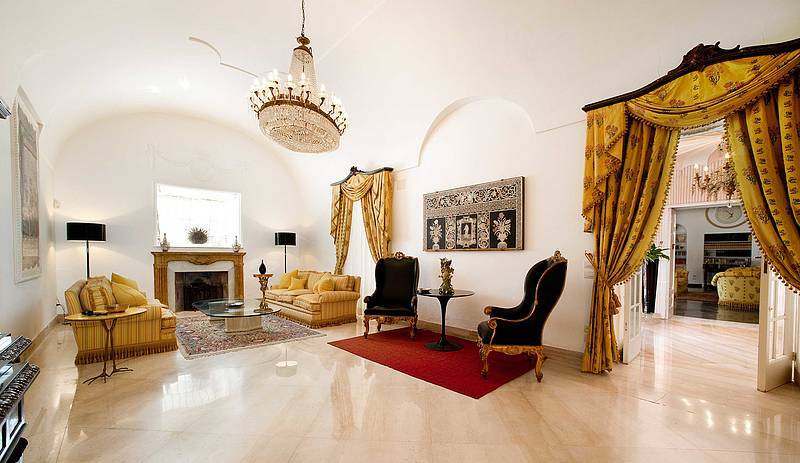 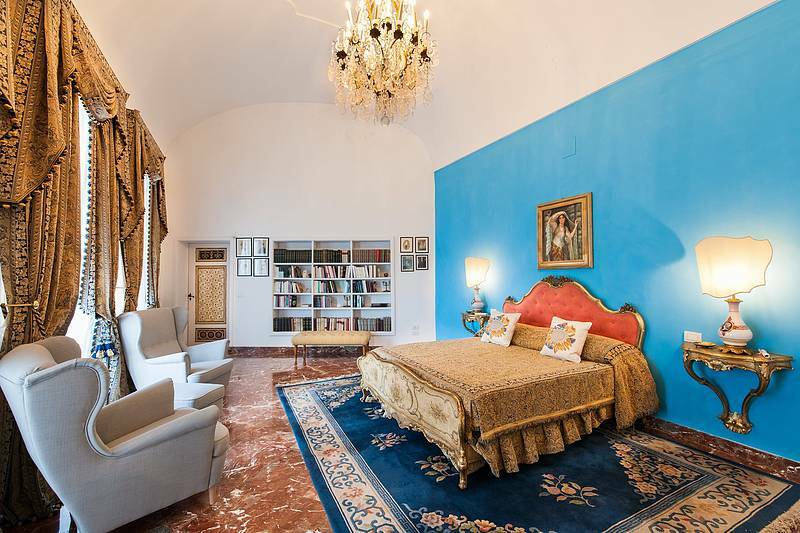 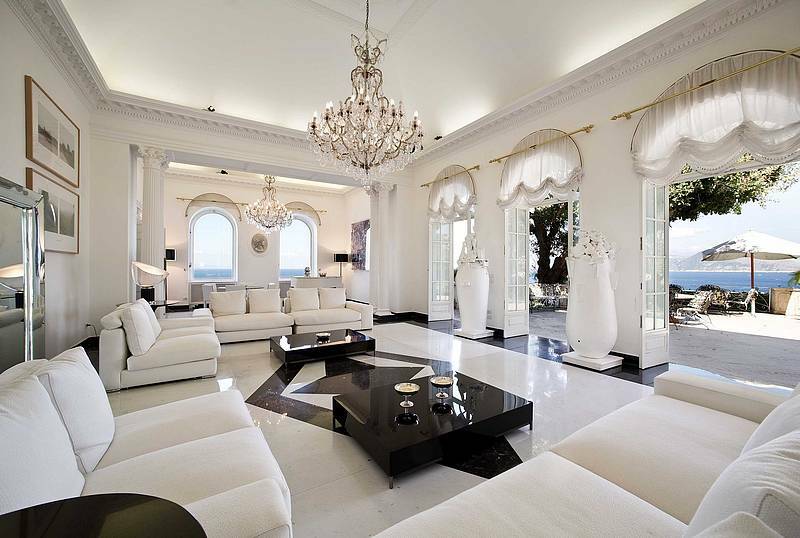 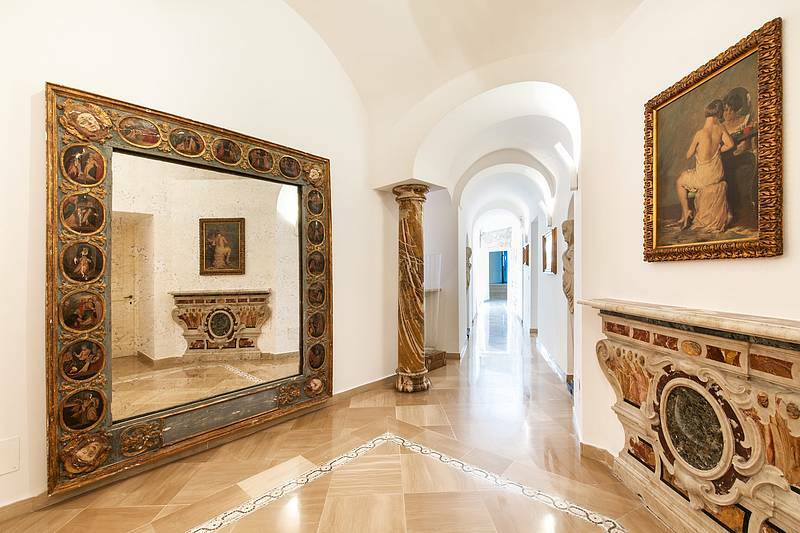 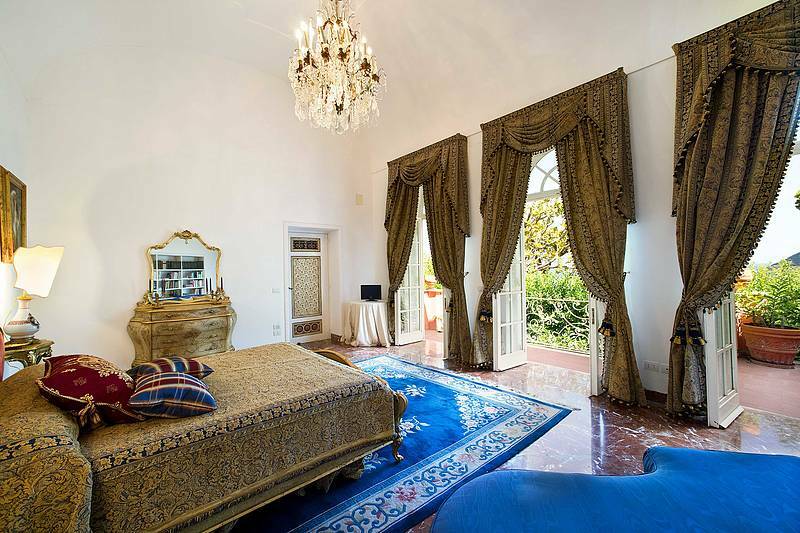 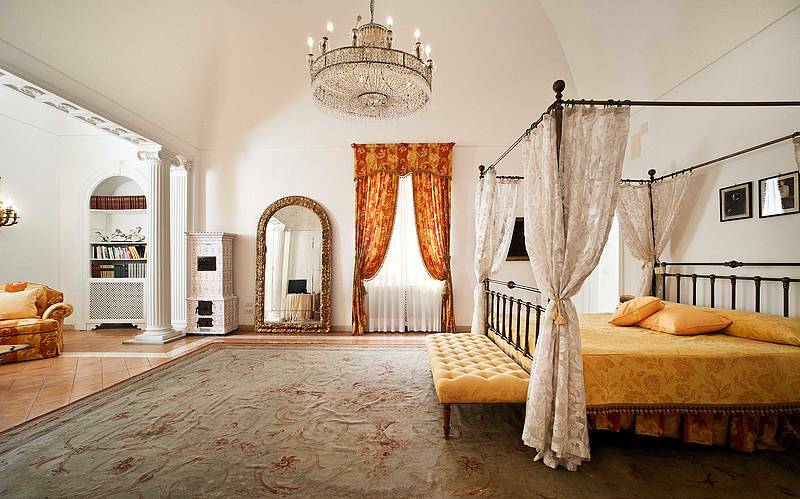 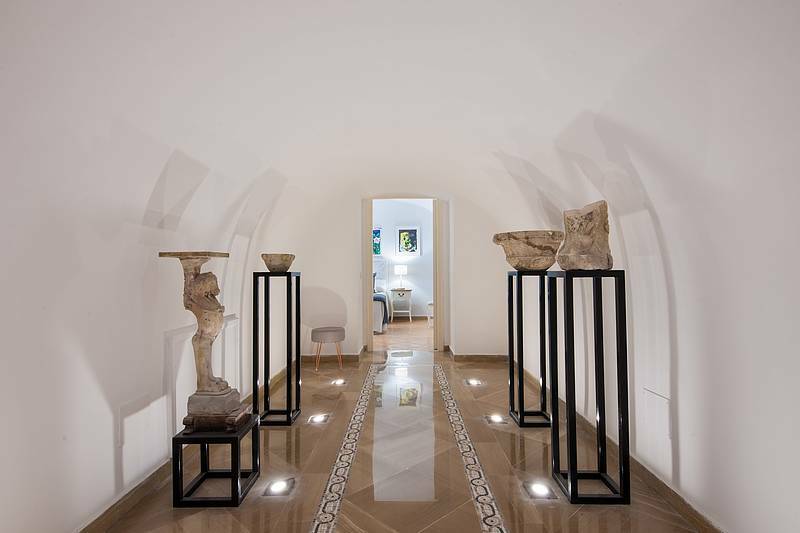 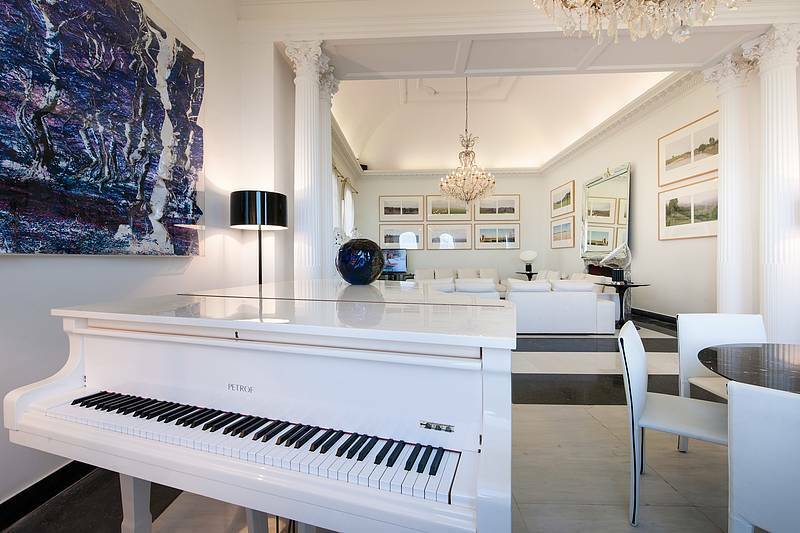 Built on the site of an Ancient Roman palace, the villa is comprised of two connecting, two-storey buildings, characterized by high vaulted ceilings, exquisite items of antique furniture, magnificent crystal drop chandeliers, luxurious marble bathrooms, and beautiful sea views. 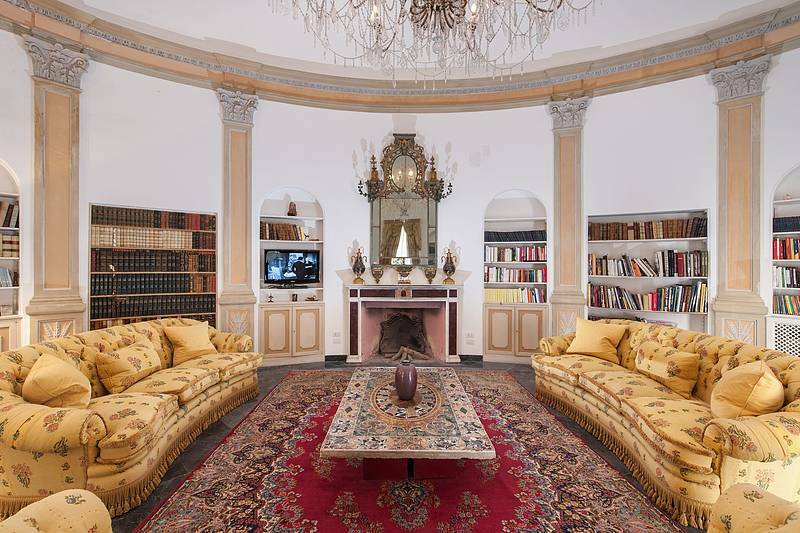 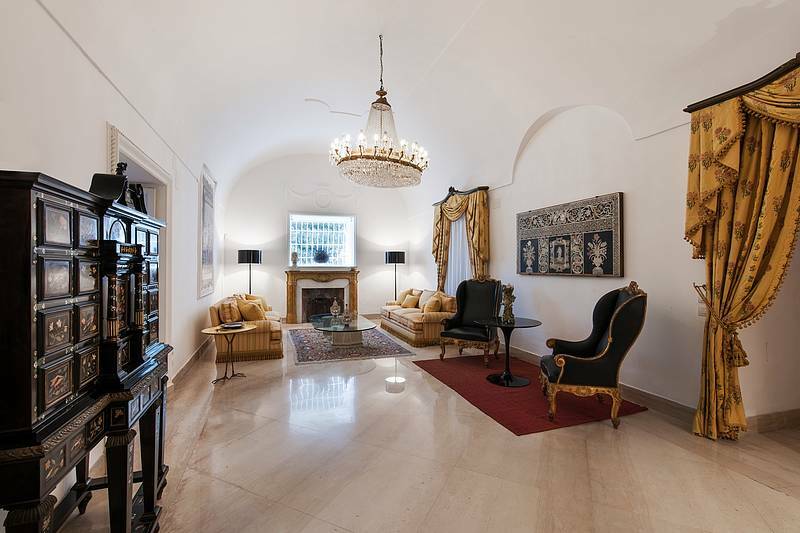 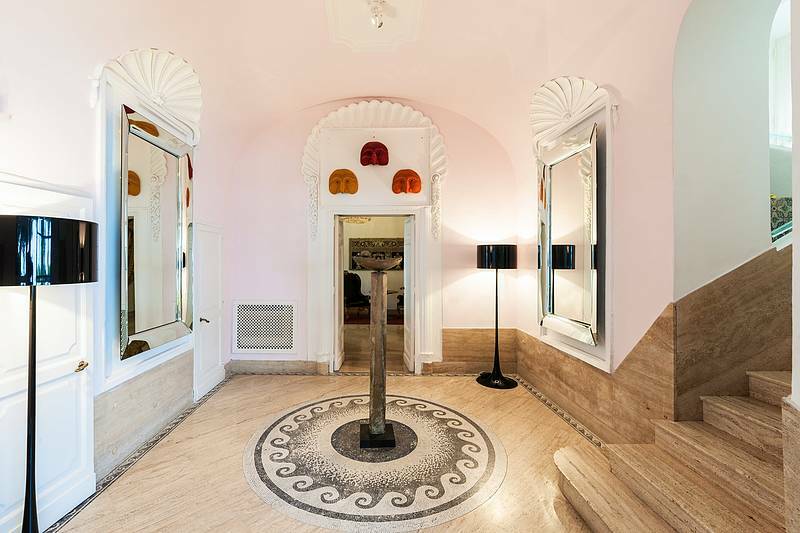 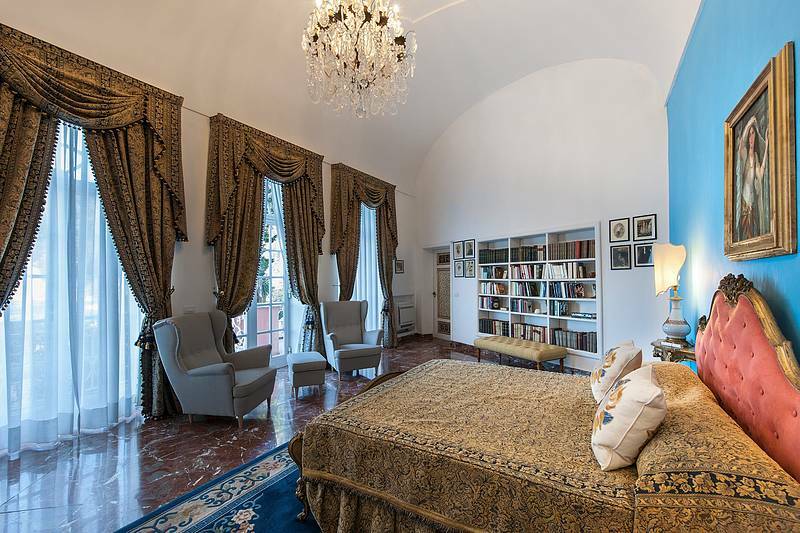 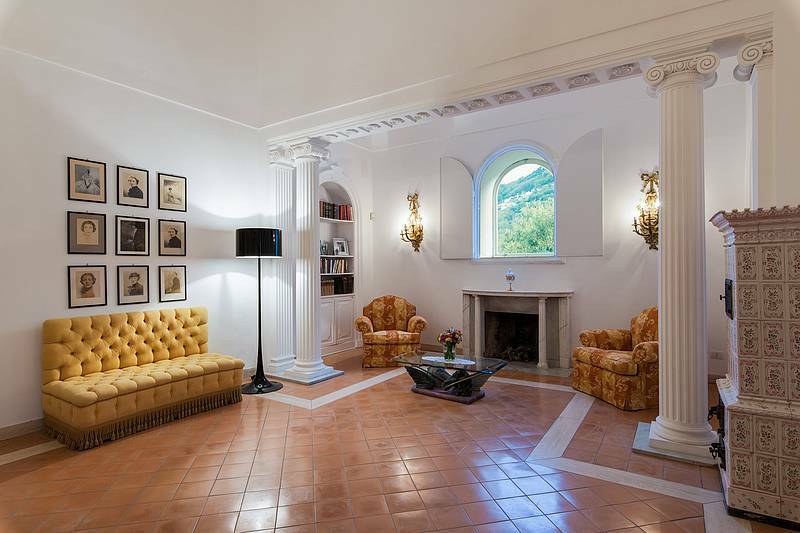 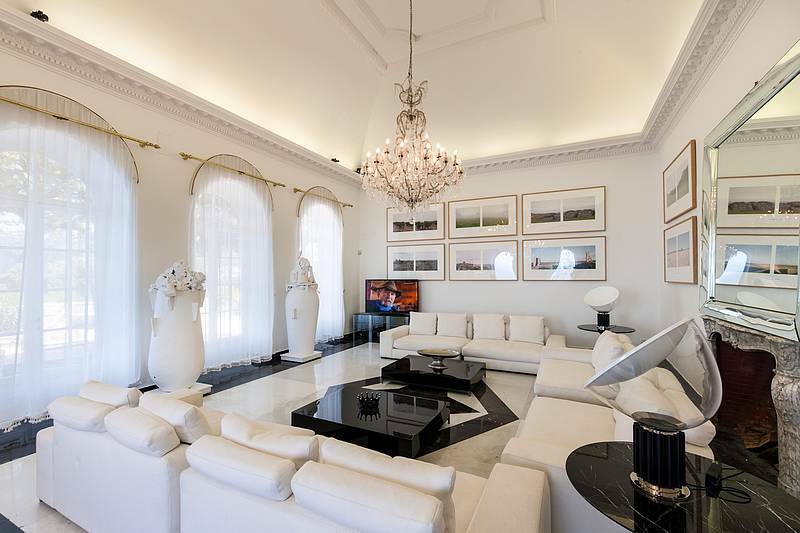 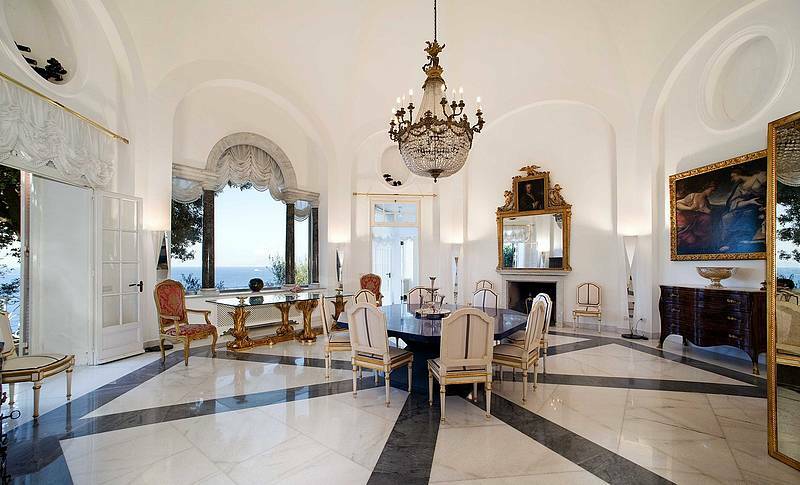 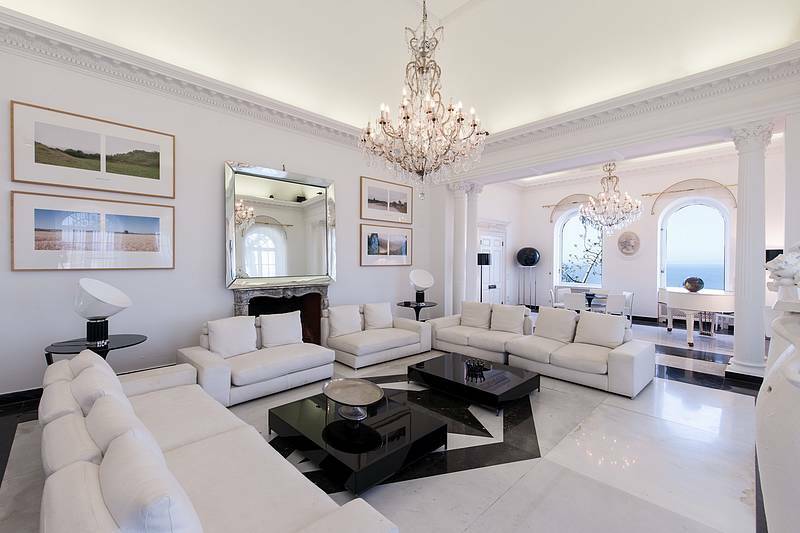 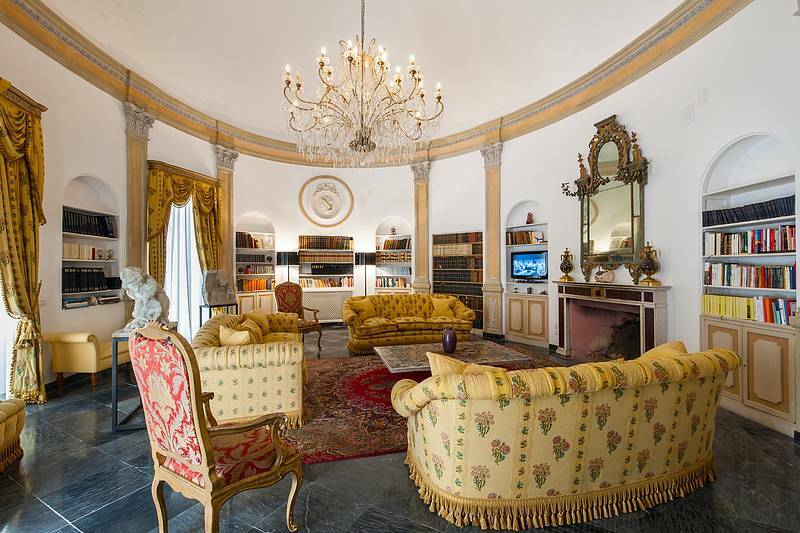 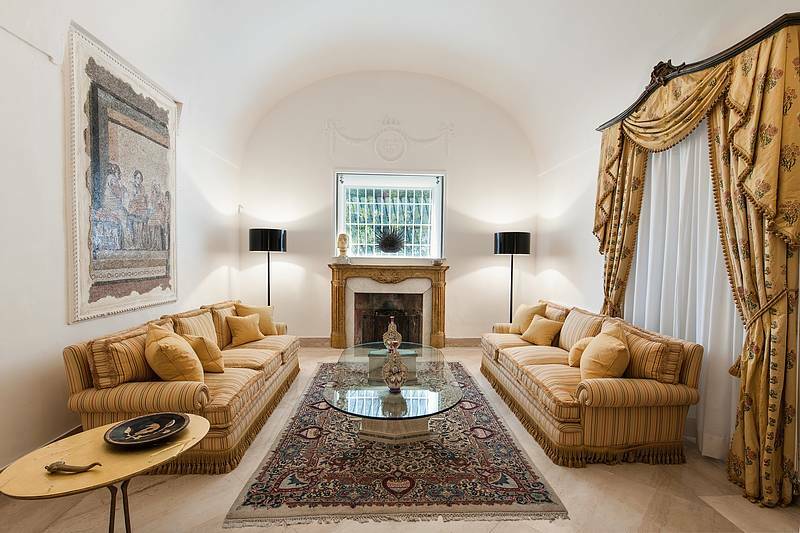 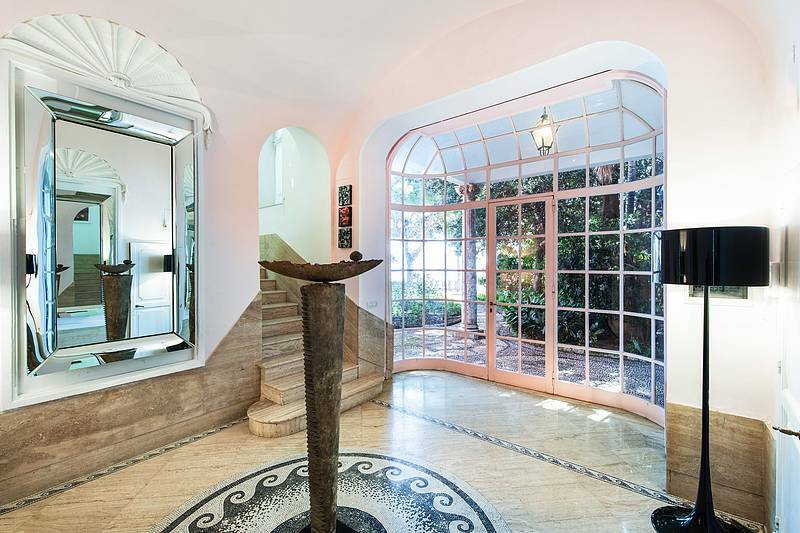 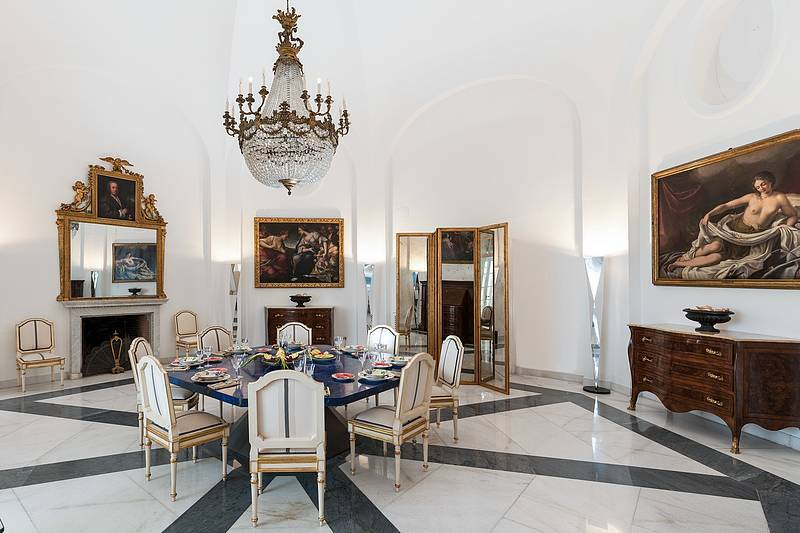 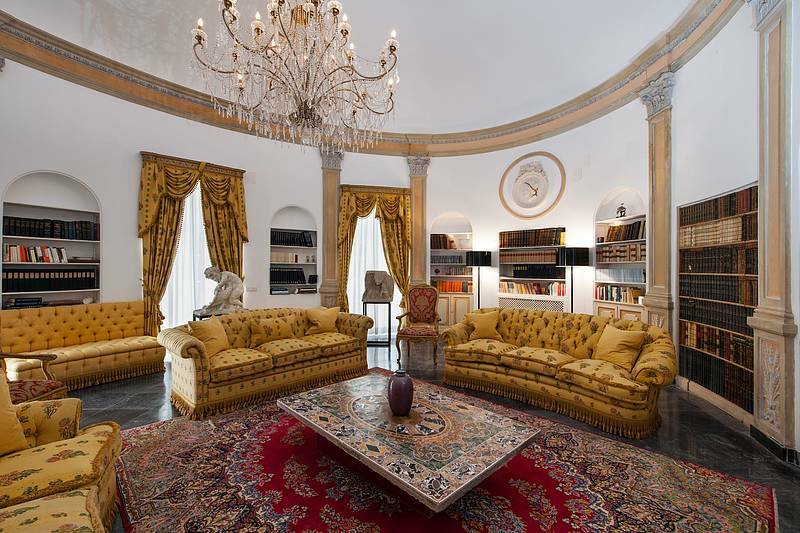 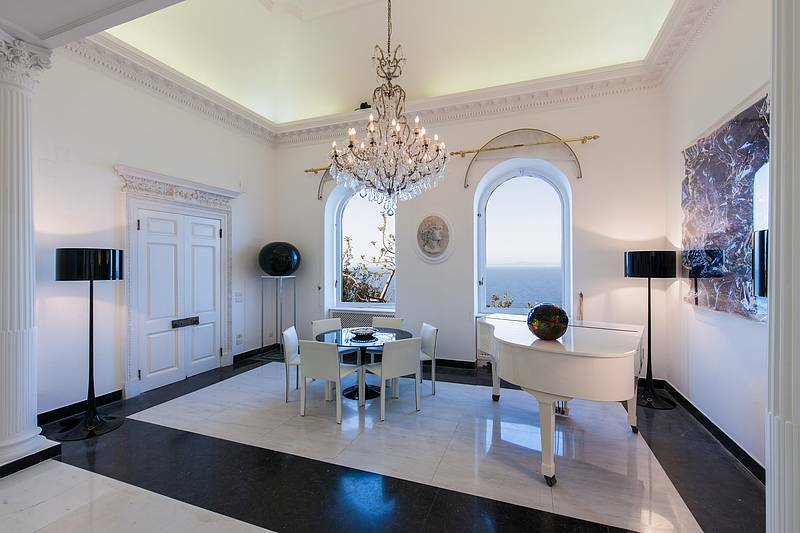 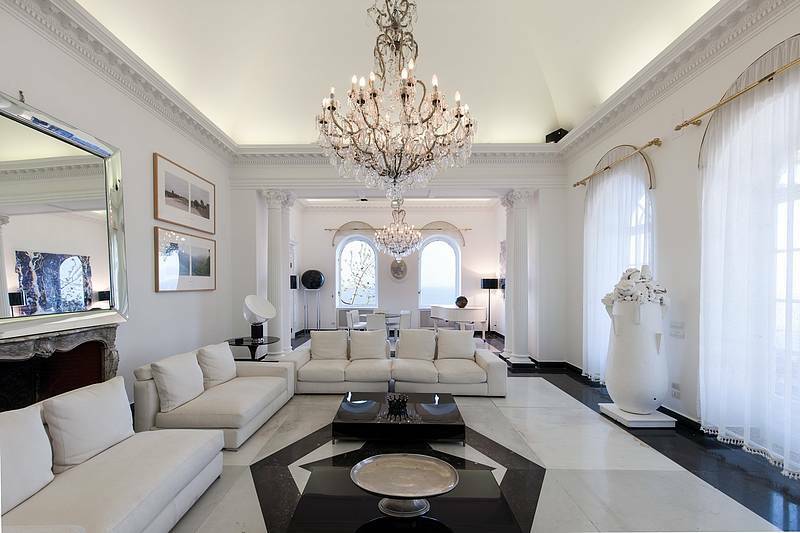 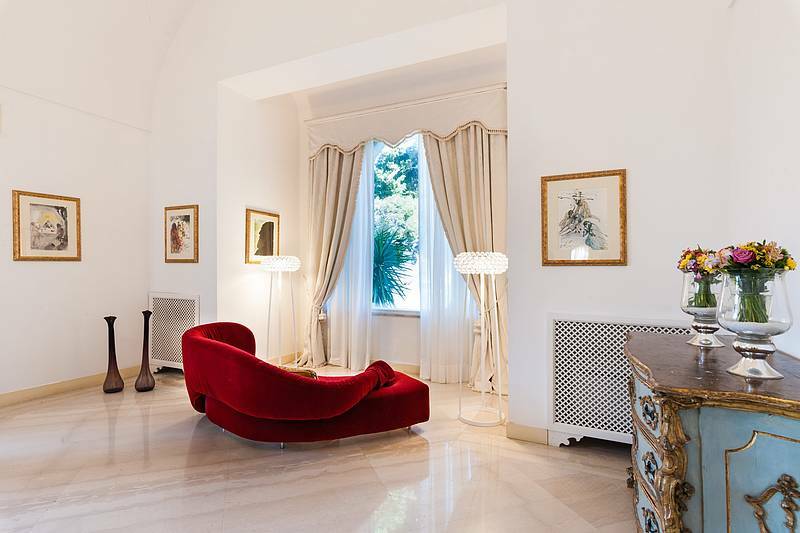 Guests relax in the living room with large open fireplace or in the circular library which, with its polished marble columns and floors, is, without shadow of doubt, the most elegant reading room on the island of Capri! 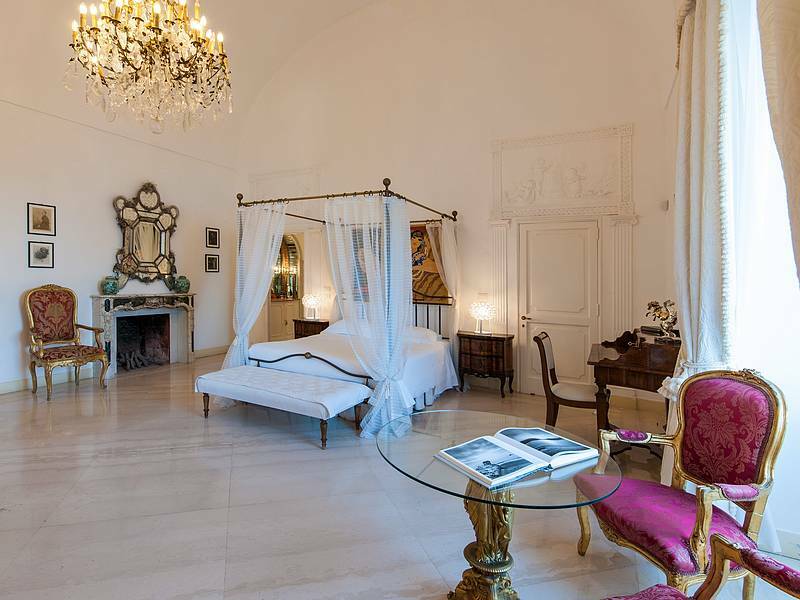 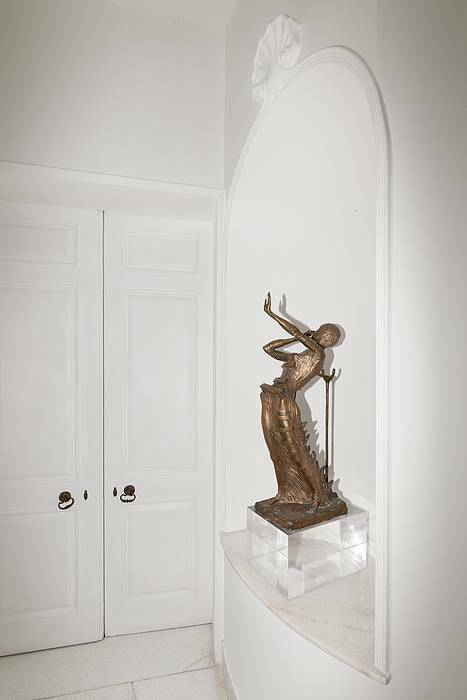 The villa's five double bedrooms feature fabulous four poster beds, unique pieces of antique furniture and modern art works. 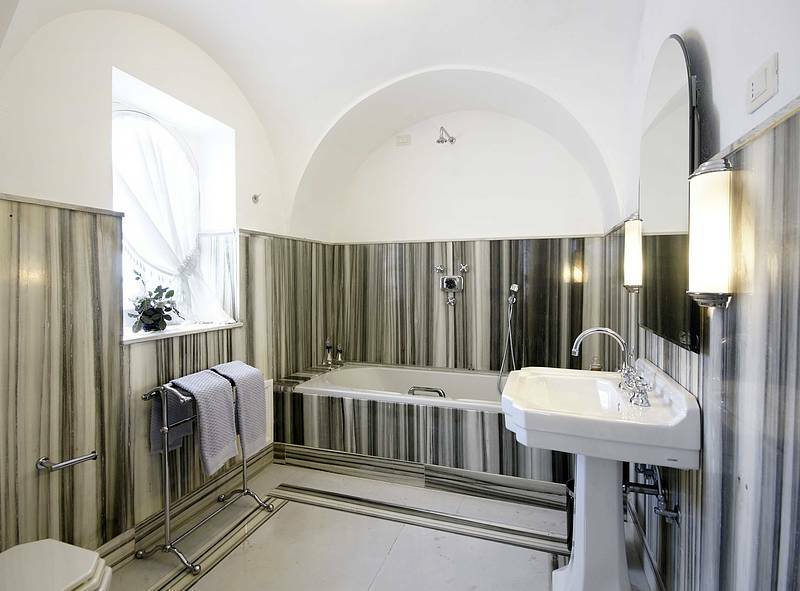 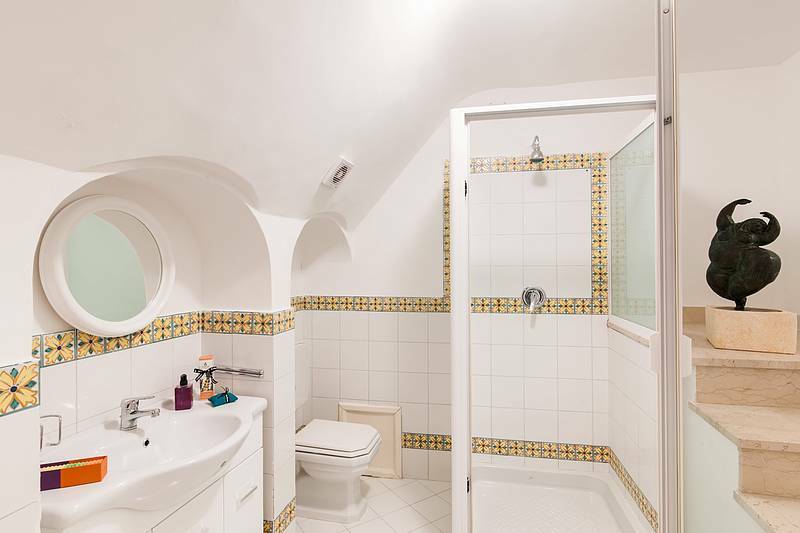 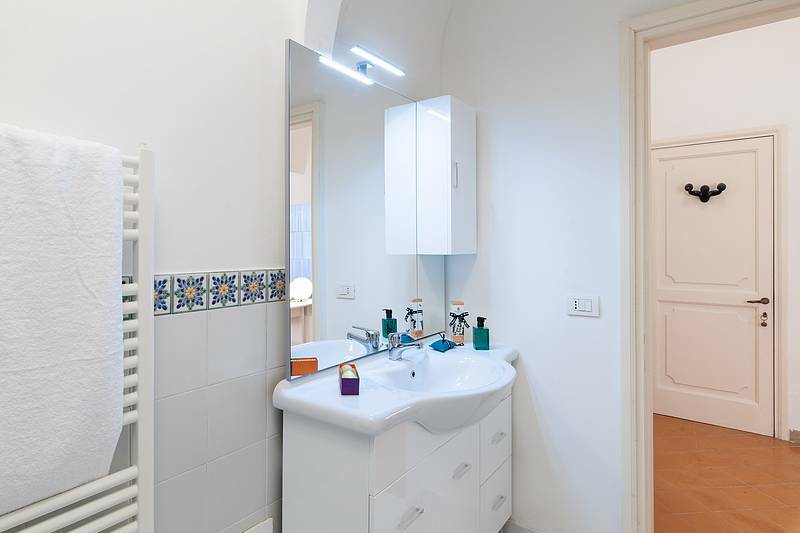 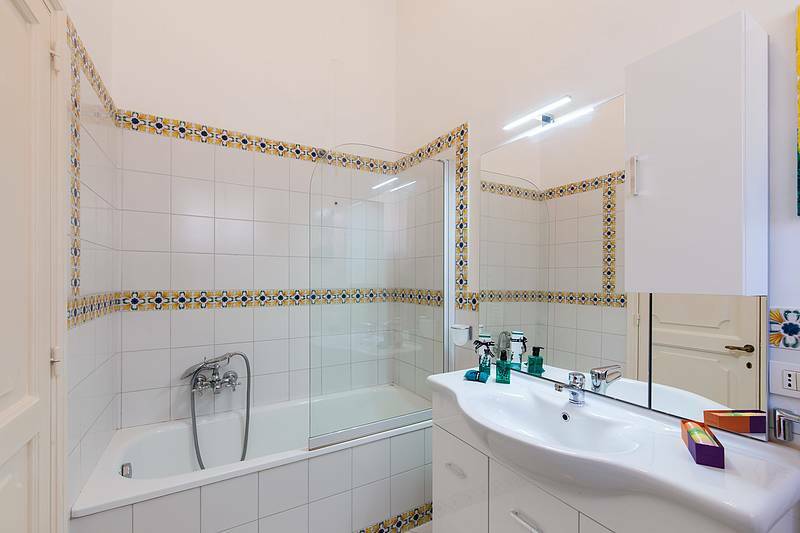 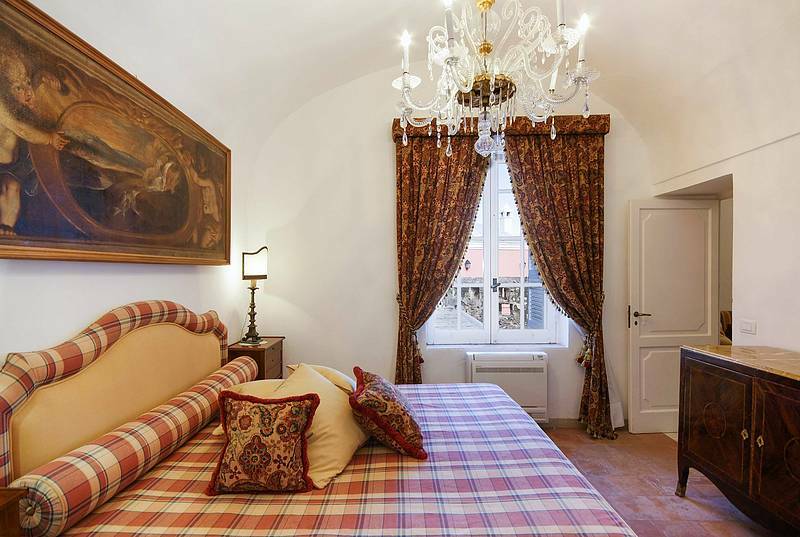 Each room has its own bathroom with bath tub or shower. 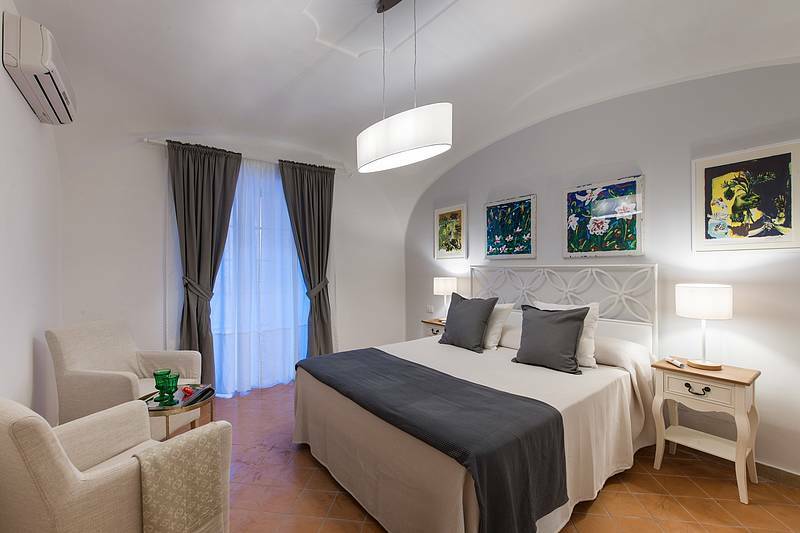 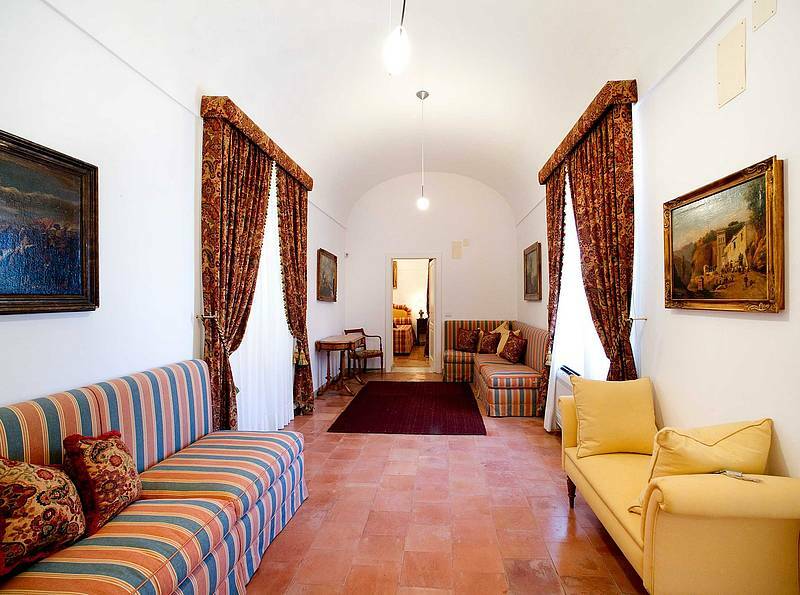 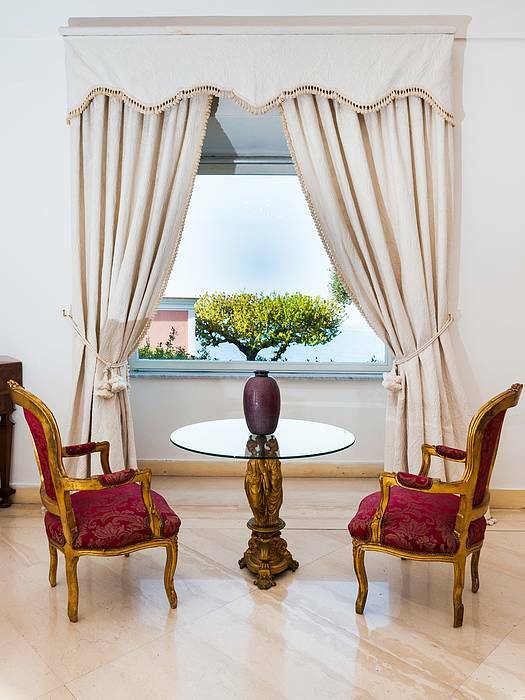 Villa Camelia's suites are located on the first floor and can be accessed either via the lounge or the main corridor overlooking the garden. 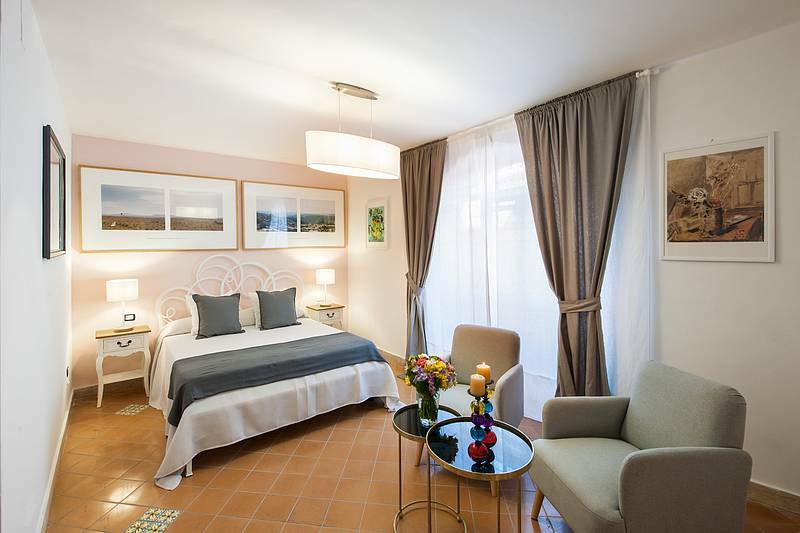 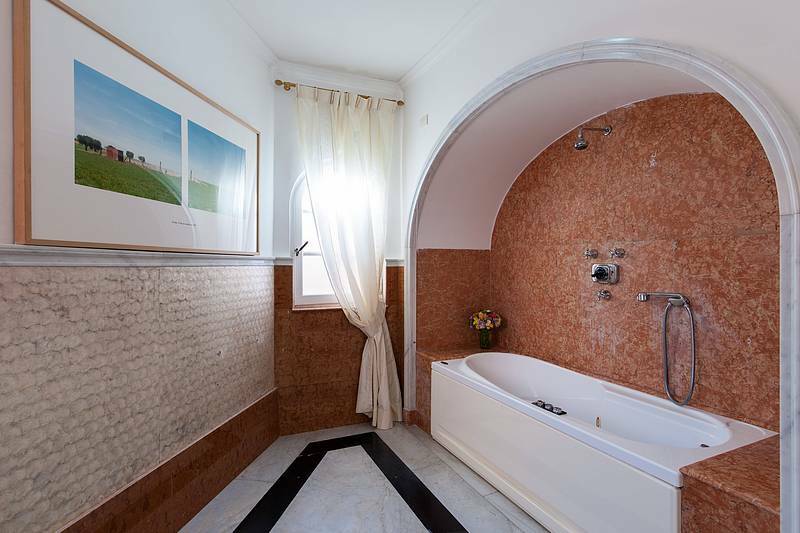 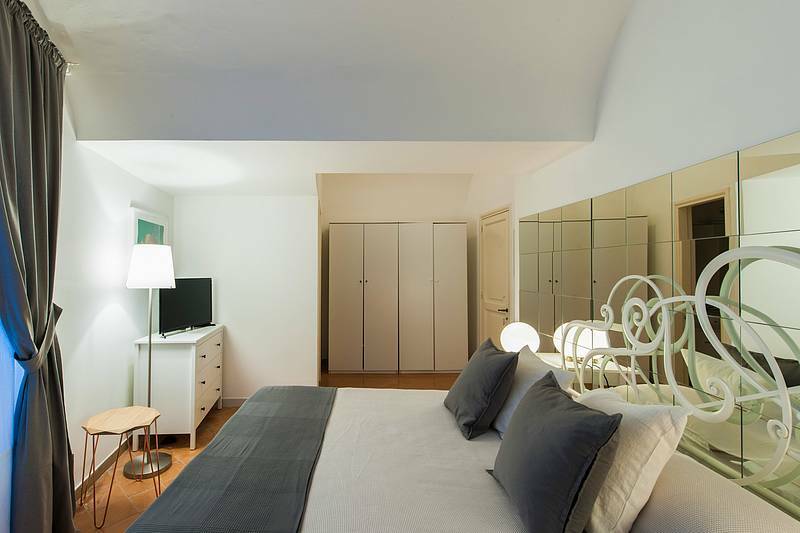 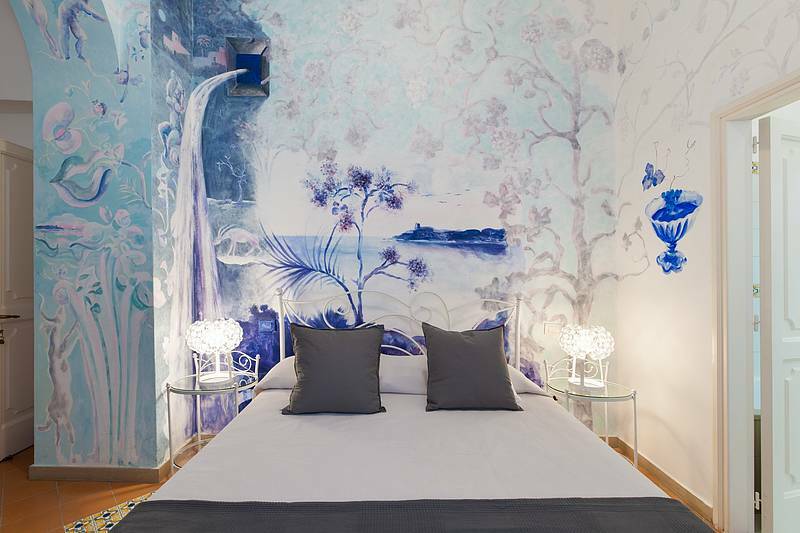 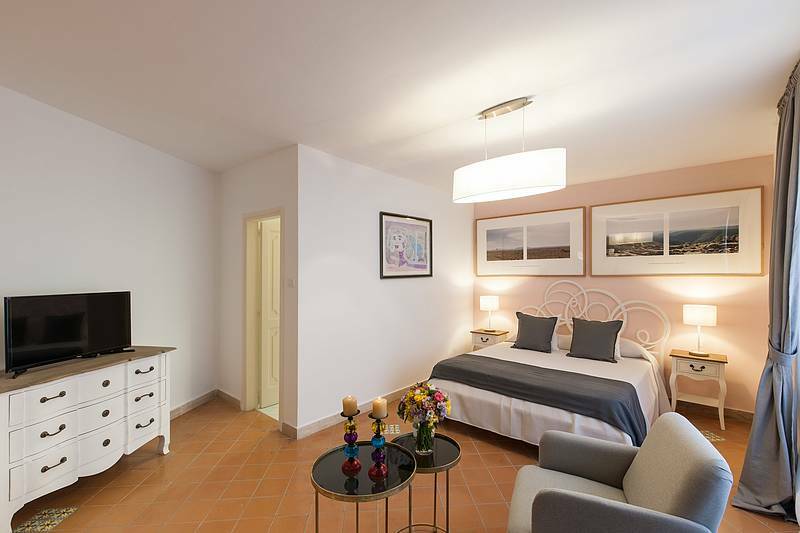 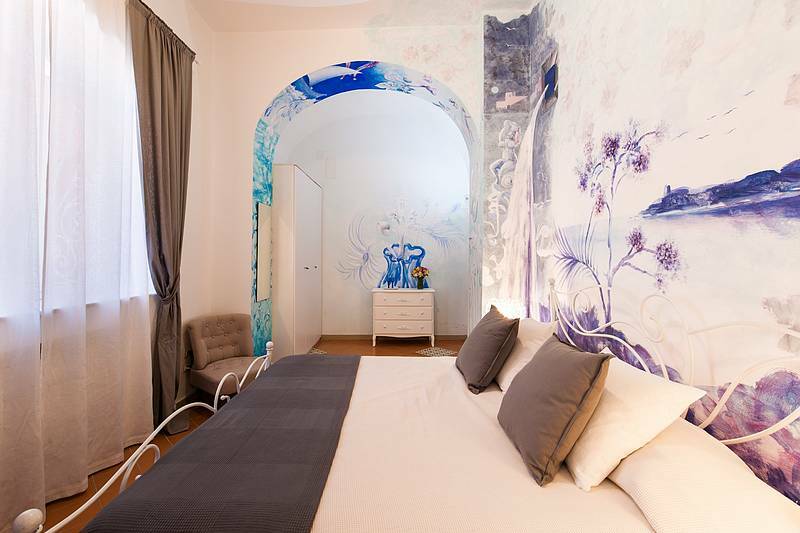 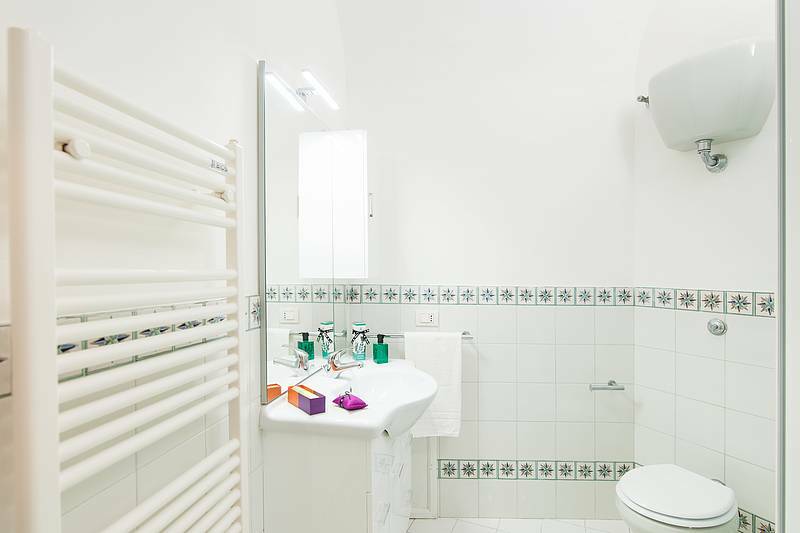 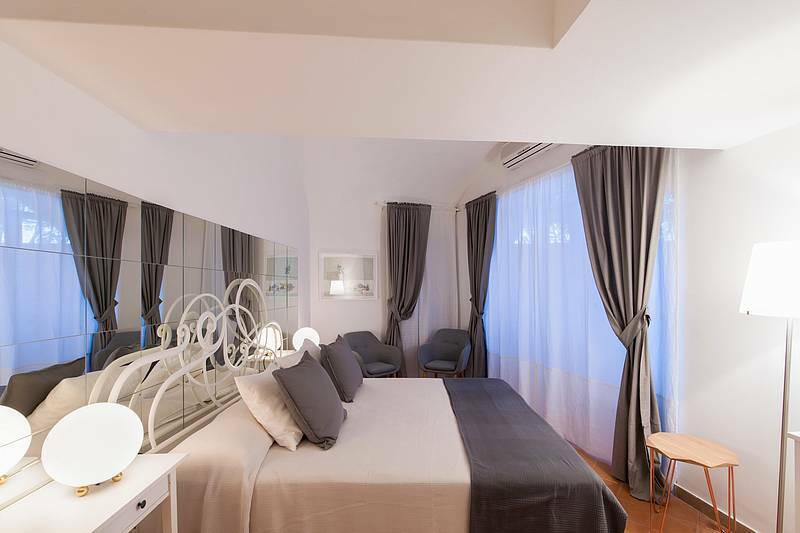 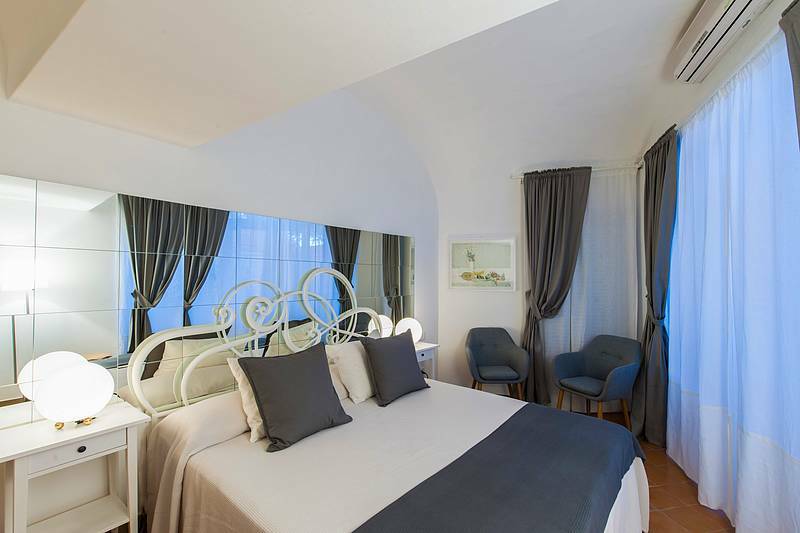 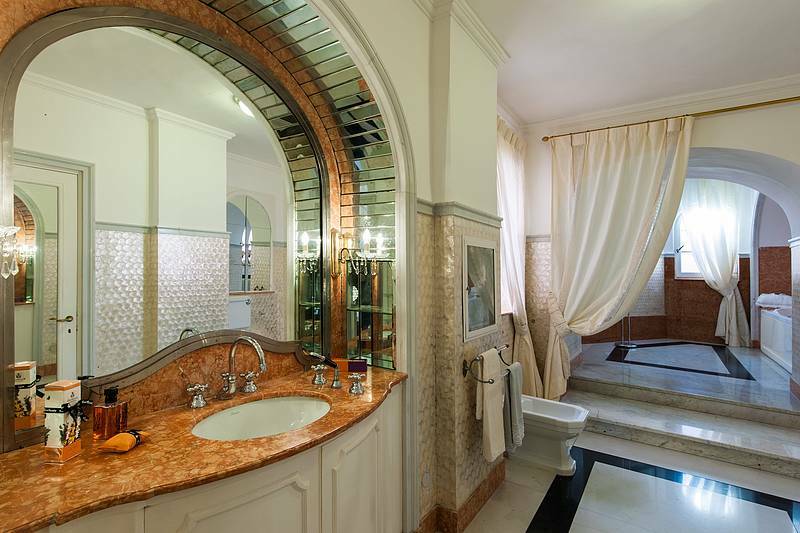 All four suites have white marble bathrooms with bathtubs and oversize shower and face the garden and the sea. 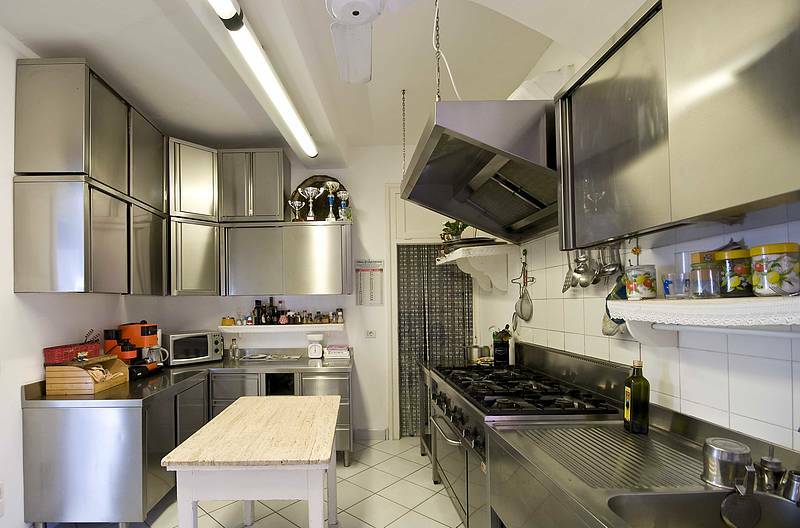 The property's professional kitchen is divided into two areas and comes complete with 6 ring hob, a large oven and a full range of kitchen appliances. 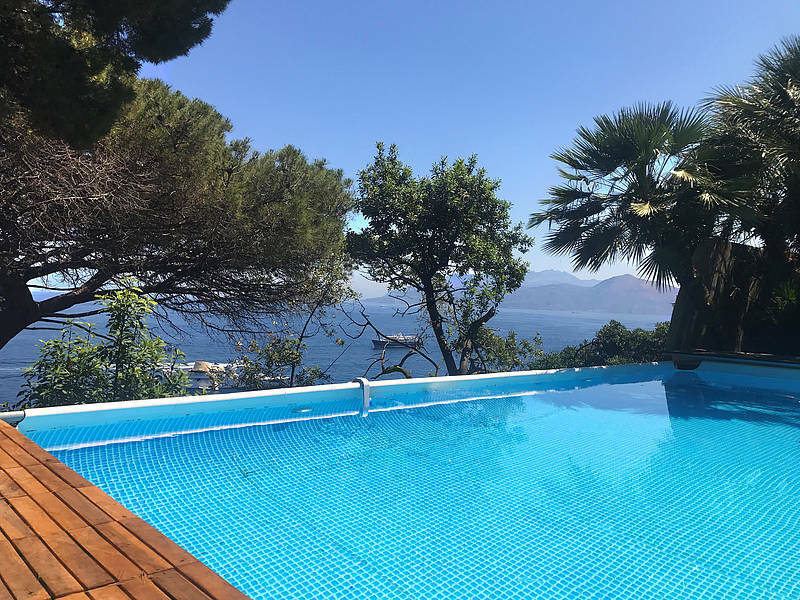 There are kitchen assistants, waiters, a concierge service, and an assistant for maintenance of swimming, pool, jacuzzi and garden at guests' disposal: a highly qualified team, ready to make your holiday or big event at Villa Camelia a truly special one. 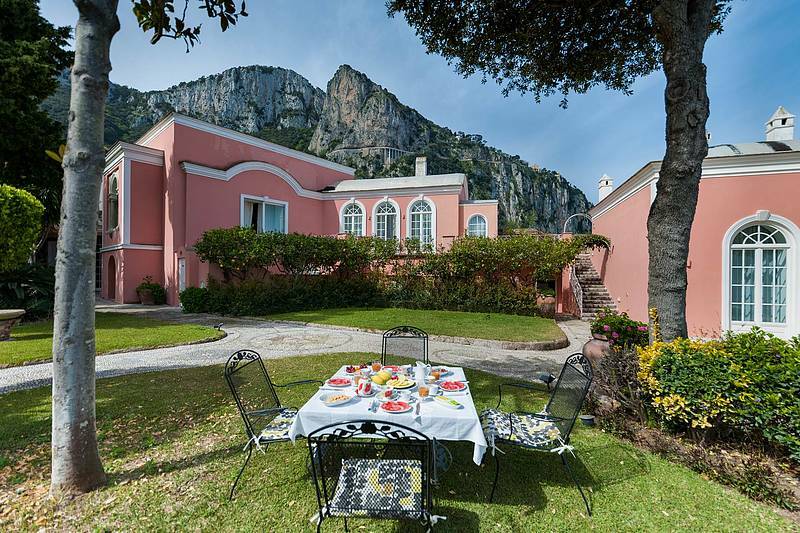 You can rent Villa Camelia with service in "Full Staff" option that includes all the services or in "Half Staff" that includes only the houskeepers for daily cleaning. 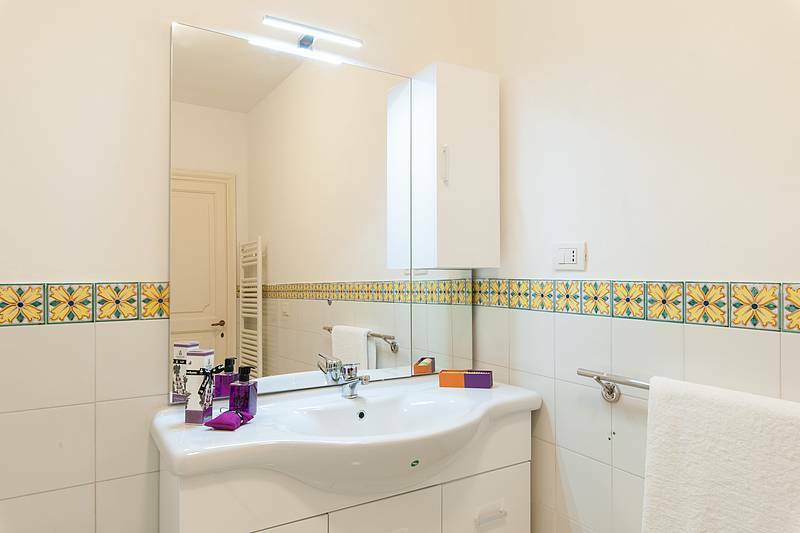 Both options include wi-fi, electricity, water and gas.